Shameful occurrences, forever immortalised that give clues to bad companies to work for. This life long Derivco employee (Mark Nilsen) holds the position of Software Development Manager. 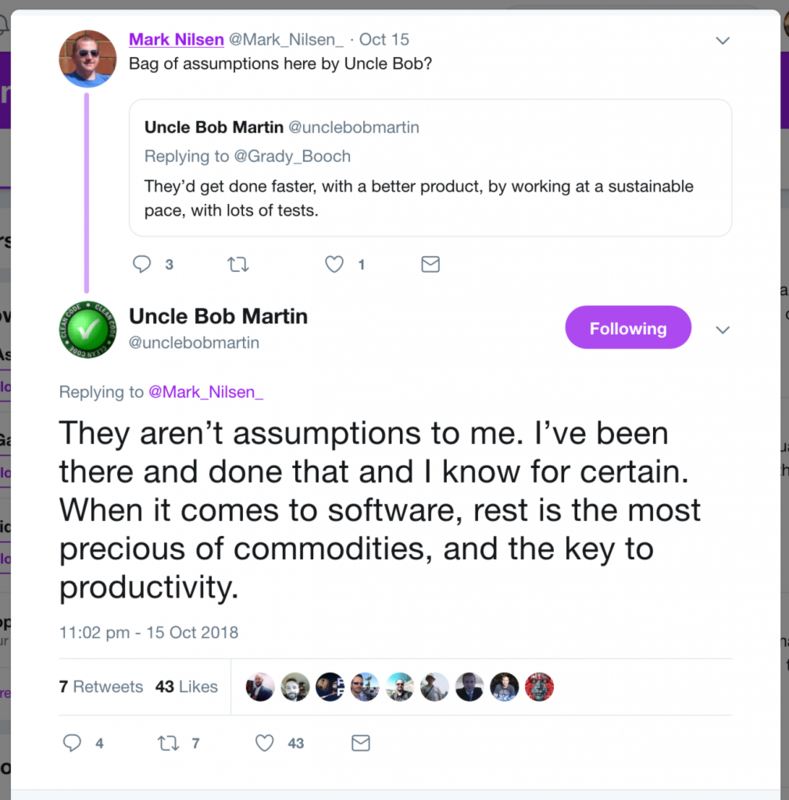 He challenges Uncle Bob Martin alluding to a better process and outcome from a sustainable (slower) pace and more tests. I agree that they are assumptions. 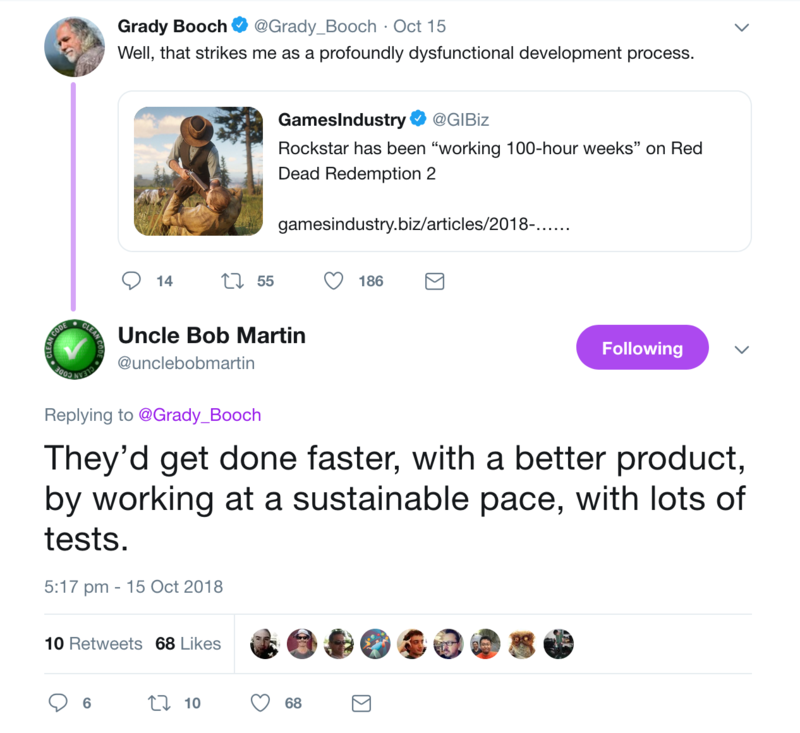 That being said only a person who has never worked on a project or team that have a sustainable and calm process with many tests (or test driven) would make this statement. The backer of this company (and apparent owner of the twitter account) is Michael Jordaan. The former CEO of a big corporate bank. The company brags (as if it is a badge of honour) about projects where people work for 24 hours or more stints. The longest being 36 hours. Not sustainable and calm process. Certainly not a company to work for if you want a company that helps families and people live better lives.